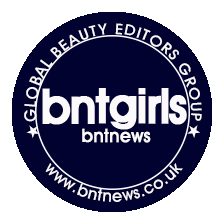 This gorgeous pressed powder is the third BRTC product I’ve had the pleasure to test out, thanks to BNT News. The first was the Bright Eye Vitalizer Cream (review) which I use pretty much every morning before applying my makeup, and the second was the Bubble Refining Cleanser (review) which I use once a week for a deep clean. 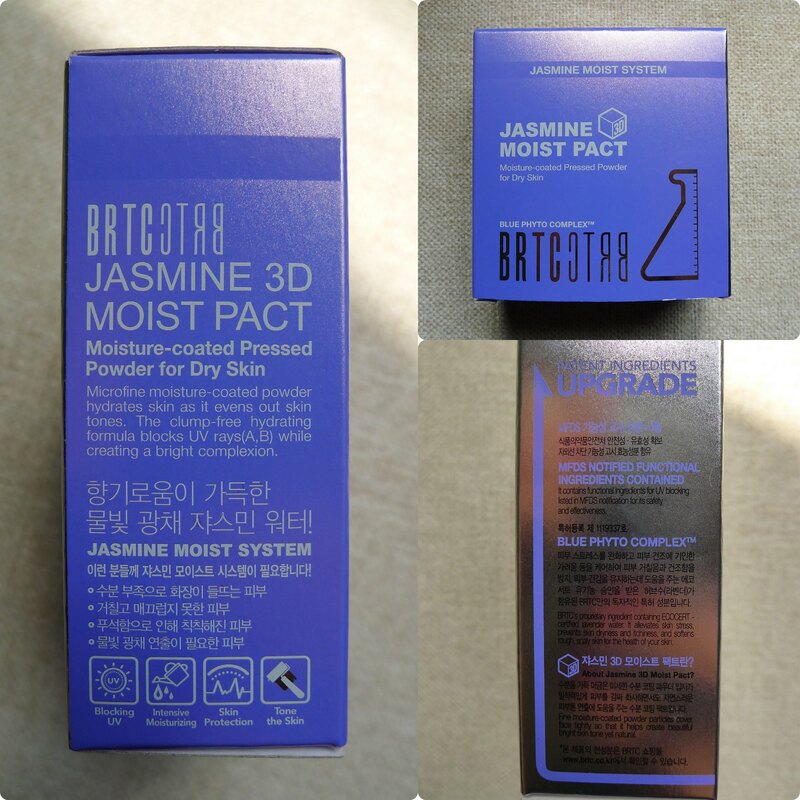 So this Jasmine 3D Moist Pact Moisture-Coated Pressed Powder for Dry Skin is my first taste of makeup from the brand, and it seems that BRTC’s ranges don’t stop at just skincare, because this powder belongs to the “Jasmine Moist” System, of which this is step 6 of 8. I love the idea of addressing your skin’s problem from skincare down to makeup. You guys know I have combination skin, but there was no way I was going to pass on trying this out because it has an SPF of 50+! Perfect for touch ups during the summer. 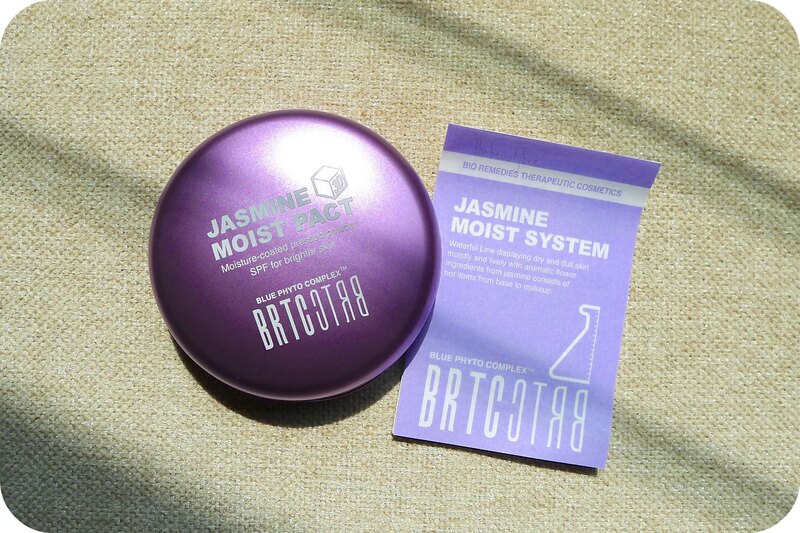 The Jasmine Moist Pack promises to moisturize skin, protect it from the sun, and brighten skin tone. Tbh, the packaging alone would have been enough to get me to buy this–I don’t typically go crazy for purple, but the overall design of this compact is just so sleek, pretty, and satisfying to hold in your hand. It feels very well made and even features a plastic divider inside to keep the puff separate from the 13g of powder sitting in the pan. The mirror is a great size, too. Nothing to complain about on the packaging front, really! Right after opening the lid of the compact, I noticed my second favourite thing about this product: the smell. The Jasmine Moist Pack smells distinctly of (what else?) jasmine flowers. Typically, scented products would have me running in the other direction as fast as my legs can carry me–but the smell of jasmine in this powder is so light and refreshing that I actually really like it. It also does not linger once on the skin. It’s only really present while applying the powder, which makes the experience very enjoyable. I do believe that this only comes in one shade, which is typical of Asian products. Disappointing for me, because I am nowhere close to the usual range of (MAC) NC 25-35. Still, I have used this over top of my darker liquid bases and that tends to help. I persist because of the high SPF and the portability of the product, but if it were a perfect shade match, I would be 10x happier with it of course. 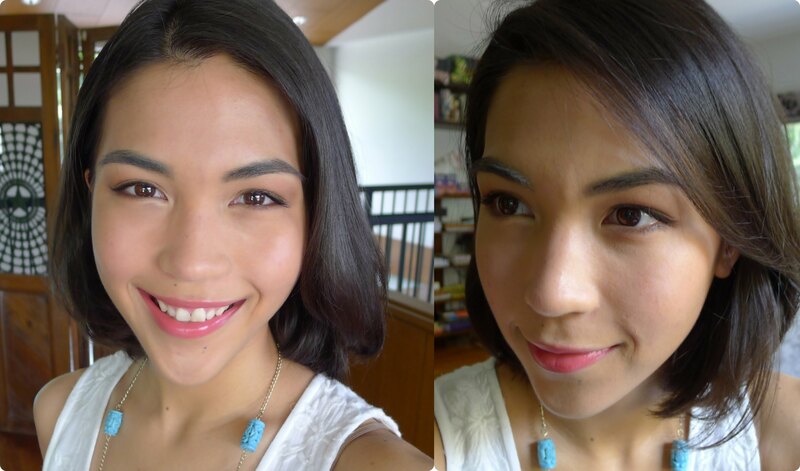 Here I’m wearing the powder both under and over top (following Wayne Goss’ miracle of a tip!) of my L’Oreal Lucent Magique foundation in G7, which is a very warm and yellow foundation. It just about makes the shade wearable. This was right after application and ohmygoodness can you see just how smooth my skin looks here??? The finish is beautiful! 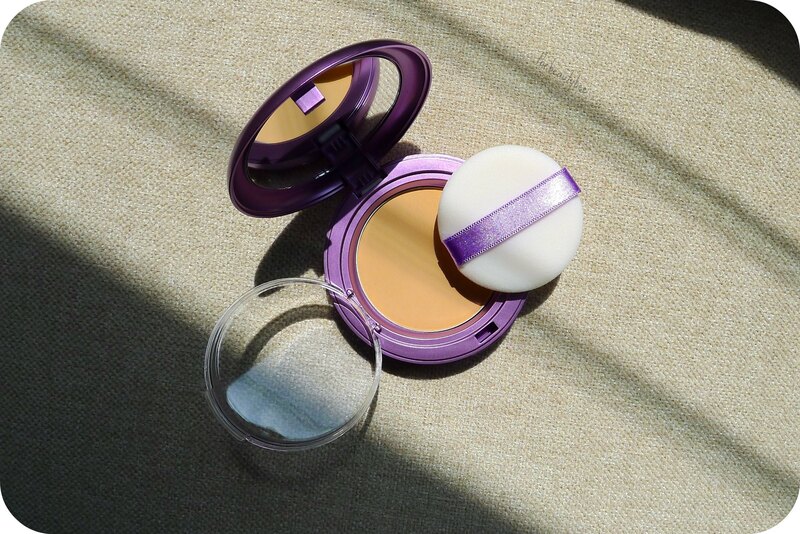 Since it is a moisturizing powder, it does not fare well on my T-Zone throughout a long day, but for quick runs out of the house and into the sun, it’s perfect. BRTC. Another brand I wish I could more easily get my hands on! Sigh. *This item was provided to me free of charge. All opinions are my own. Ahhh, let me try that tip :0 Thanks for sharing! 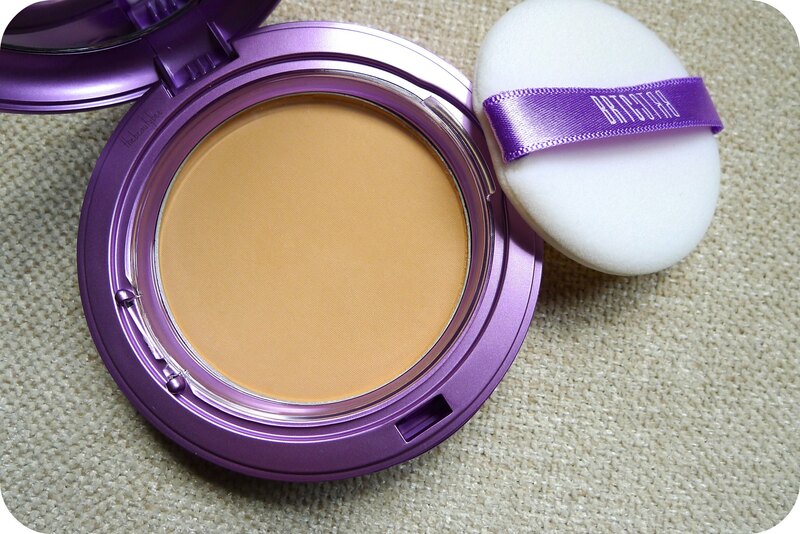 I love this powder, but kinda light for me, too. Such great SPF content, though!